You used to chat with someone on WhatsApp, and then one day, you suddenly can’t anymore. You begin to wonder, what really happened – Did the person just block you? Or did he/she disable their WhatsApp account? Hard to tell, since WhatsApp never notifies people when they get blocked. And generally, at some point, it always comes down to the part where you want to know for sure. In this article, we’ll take you step-by-step in order to determine whether the person in question has really blocked you on WhatsApp or not. Before we get into the process, we’ll discuss about a few WhatsApp Settings relevant to this topic. As you might be aware, WhatsApp offers its users, access over four privacy attributes — Last Seen, Profile Photo, About and Status. Each of these attributes have different levels of access — Everyone (visible to all), Contacts Only (visible to the users contacts alone) and Nobody (visible to no one). Most users usually set their attributes (at least the Profile Photo attribute) to “Everyone” for others to know their details. Some users rather prefer to limit their profile details to “Contacts Only”. In rare occasions, you might come across a user or two, who prefer to share their profile details with “Nobody”. He/she could have deactivated their WhatsApp account for some reason. To confirm whether the particular person has blocked you on WhatsApp, you need the help of a secondary WhatsApp account. For that, you could either use a second smartphone, or run two different versions of WhatsApp on the same phone. In both cases, you would need another phone number. Note: The secondary phone number you’re using, should be unknown to the target person. Otherwise, the other number might be blocked too. When your secondary WhatsApp account is finally set up, you need to visit the target person’s WhatsApp profile through the chat screen. To initiate a new conversation with the person using the secondary account, just save the number first and invoke a new chat, or use WhatsApp Direct to go to the required chat directly. Once in the person’s WhatsApp profile, check if any of the four Privacy attributes (viz. Last Seen, Profile Photo, About, Status) is visible on the secondary WhatsApp account, while being unavailable on your primary account. If so, it indicates that your primary account has been blocked. If the target person’s profile appears same on both of your WhatsApp accounts, we can’t draw any conclusions yet. In that case, we have to investigate further. If you don’t mind sending a WhatsApp message to the target person, using your secondary WhatsApp account, you might as well just drop a message to the target from person both the accounts, and note the results. Regardless of whether the target has enabled or disabled “Read Receipts”, received messages will be indicated by a pair of grey double-ticks. On the other hand, a single tick suggests that the message has successfully reached the WhatsApp servers, but yet to be delivered to the receiver. If messages from your secondary WhatsApp account indicates double ticks (grey or blue), while messages from your primary account indicates only single ticks, your account has been blocked. If, however, messages from both of your accounts indicate single-ticks, you might want to wait a few days just in case the target user is outside of network coverage. It is also possible that the target might have deactivated their account. 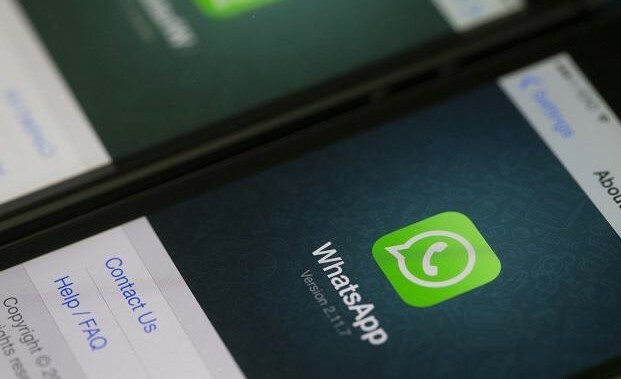 But, if you’re aware that he/she is a regular user, and is not likely to stay offline for days, there’s one final step that determines for sure whether your WhatsApp account has been blocked by them. No matter what privacy setting you choose, WhatsApp will always show your “Online” Status for as long as you’re active on WhatsApp. Now, since it’s quite unfeasible to keep your target’s chat open and check for their “Online” status throughout the day, there are a few third party apps which monitor them on your behalf. You just need to provide the target’s phone number, and the app starts tracking their activity. You even get a notification when the particular person comes online. Below are few of the WhatsApp Trackers available on iOS and Android. WhatsTrack for WhatsApp (iOS/Android) — This is a WhatsApp tracking app for both iOS and Android, which helps you to track someone’s WhatsApp activity by providing the WhatsApp registered phone number. You get notifications for each time the user comes online. WhatsActivity (iOS) — An app that helps you to track your friend’s WhatsApp activity, and notify you whenever the person is online. Netwa (iOS) — A multi-platform tracker that helps you be aware of when your friend is online on WhatsApp, Instagram, Facebook or Vkontakte. WhatsAgent (Android) — WhatsAgent is an Android app that is capable of tracking the online activity of your WhatsApp contacts. wOnline (Android) — wOnline is another application for tracking WhatsApp users. All of these apps (and there are more available on both App Store and Google Play Store) offer a limited time free trial. Once the trial period is over, you can either switch to a different tracking app for free, or pay to continue using the same. Using any of these tracking apps, track the target phone number to see if the user comes online on WhatsApp. If the tracking app indicates that the user has come online, yet you don’t see their Online status in your WhatsApp account, it’s a clear sign that the user has blocked you. If, on the other hand, he/she is not coming online for a long time, it might be possible that the user has deactivated their account. Did this article help you? Let us know in the comments below.